I chewed the toes off of mom’s baby Buddaha. They were yummy. When she’s not looking, I’ll do it again too! Buddah is a cool dude. He doesn’t seem to mind. 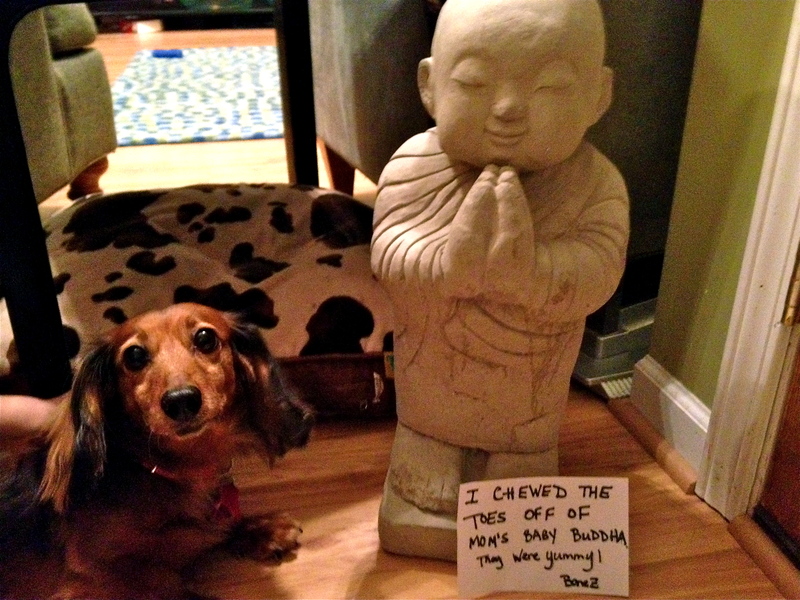 looks like my ornery little wiener dog,luckily all my Buddhas have hard toes!